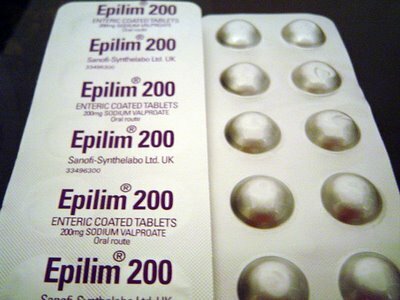 I was prescribed Epilim (SOUDIUM VALPROATE) after telling the doctor I wanted to stop my addiction from benzos. 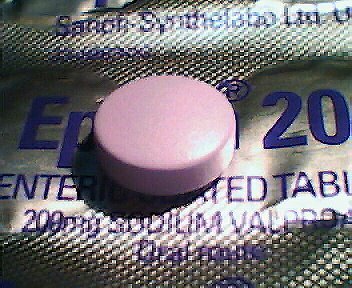 I know that stopping short acting benzodiazepines especially under the hypnotic category like Midazolam ,Alprazolam ,Nimetazepam,Flunitrazepam ect ect... abruptly may cause one to throw a fit. 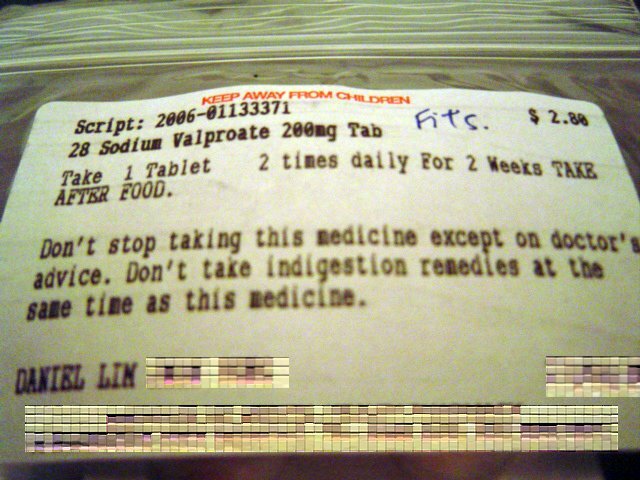 And he knows that also(the doctor) .SO I was prescribed this(Sorry for my silly way of writing as I am still having bad Psychological withdrawals) .He told me I had to fight over the anxiety that will surface during the initial part of the withdrawal but will subside after a few weeks. "You can rough it out because you are still young" that what he said. I olny wish he could be more understanding and have a tapering regiment for me. The plastic blister pack is covered with aluminum.To maintain the freshness of the medication . This is a close-up view of the pill. AS you can see it comes in a nice appealing purple Color coating. 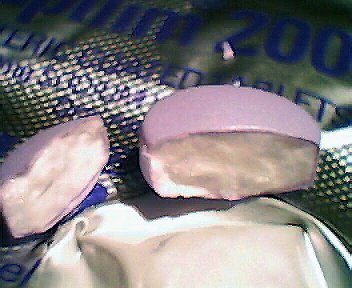 I used a knife to split to pill out of curiosity and found out that the ingredient is white.